In an effort to keep up with competing Web-based e-mail services – like Google’s constantly evolving Gmail – as well as the growing reliance on social networks, Yahoo this morning launched a redesigned beta version of its own e-mail service. The aesthetic changes to the site are subtle and appear mainly to involve a new emphasis on the color purple, but Yahoo is claiming some significant performance improvements and new features that just might be worth a look. 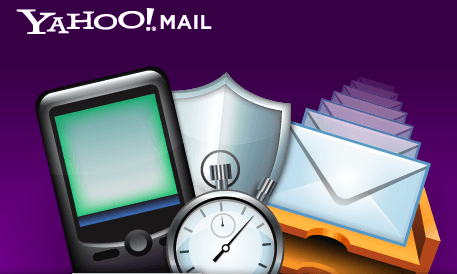 For example, it says the new Yahoo Mail Beta is faster – capable of sending and receiving messages and attachments two times as quickly (four times in some countries) as prior versions. Yahoo cited speed as the number one concern when it was planning the upgrade. There’s also better media integration allowing for video clips and photos to be viewed within Yahoo Mail without having to open up a separate window or browser tab. Improved searching capabilities and better spam filtering are also listed as key improvements to the backend. Acknowledging a growing trend towards relying on social networking for day-to-day communications, Yahoo is also providing for integration with Twitter. Yahoo Mail users will now be able to link both their Facebook and Twitter accounts with their Yahoo accounts, and be able to view and post updates directly through the e-mail client. There are now options for replying to updates and retweeting as well. Yahoo Mail’s IM client has also been reworked to provide for more chat capabilities. Yahoo Mail users will have to opt in to get access to the new beta version. If they do and find themselves missing the original site, they will have the option of returning to the classic Yahoo Mail client.